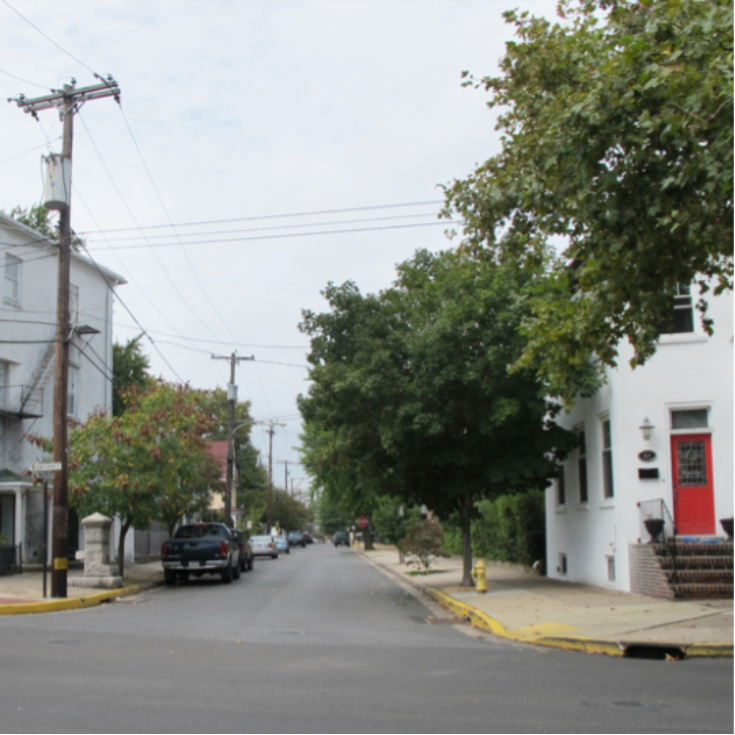 This intersection at Radcliffe and Walnut Streets was on the edge of town when the original street grid was laid out in the late 1600s. 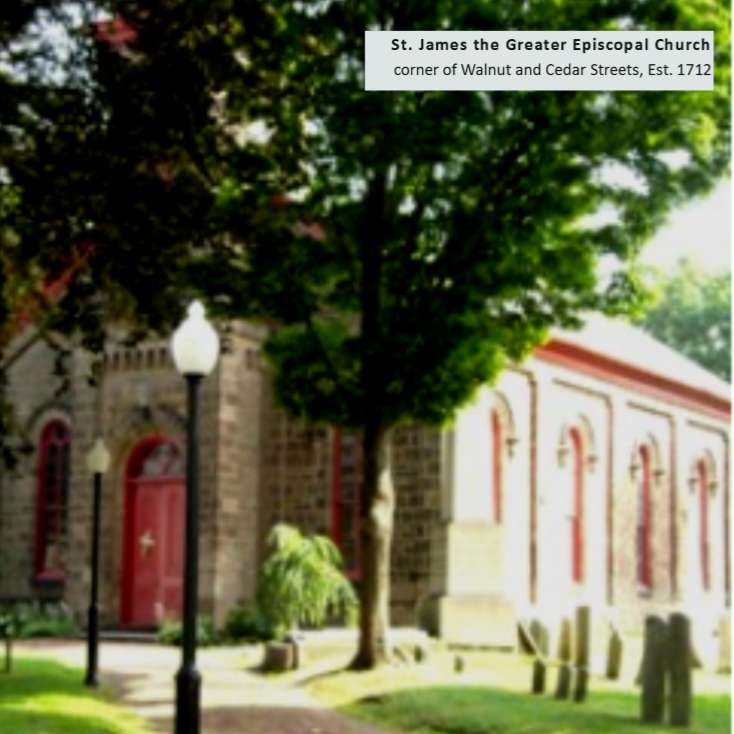 Down Walnut Street are several churches, including Saint James Episcopal Church, which was built on the outskirts of town in about 1712. 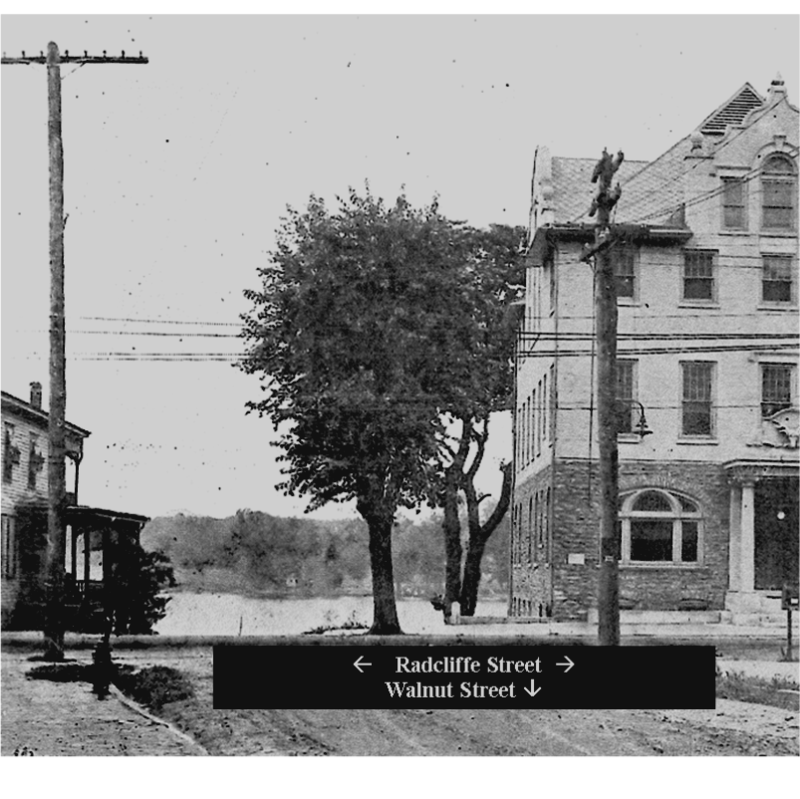 Though the cemetery and grounds date from that time, the present church building was rebuilt in 1857 because it needed extensive repairs.